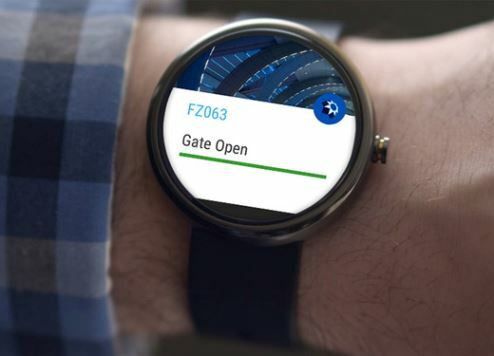 Tech-savvy, early-adopting passengers flying through Dubai International (DXB) will now have timely, important travel information delivered to them on their smartwatch following the launch of a new service integrating the gadget with Dubai Airports’ popular smartphone app. To satisfy Dubai International’s huge and diverse customer base, the smartwatch app is being made available on the two main software platforms – iOS and Android – effectively offering a smartwatch experience for all. It marks the first time an international airport has offered a smartwatch experience on both iOS and Android. An extension of the Dubai Airports mobile app, the smartwatch app provides the modern traveller quick and easy access to a range of data, including their current flight status, arrival and departure times, terminal, gate and baggage belt information. “This development is part of an ongoing series of digital initiatives at Dubai Airports that are aimed at enabling easy access to personalised information that allows our customers greater freedom to plan their journey and make the most of their time at the airport. It’s a service that will find appreciation among the increasing number of travellers that are now smartphone and smartwatch users,” said Matthew Horobin, Head of Digital Media at Dubai Airports. The app has been developed by Dubai Airports in conjunction with Amsterdam-based company M2Mobi.